San Mateo commercial customers choose our company for the best in fire sprinkler design, installation and servicing. AAA Fire Protection Services is an expert in commercial fire protection and suppression and in addition to sprinkler systems, we offer commercial, portable fire extinguishers and fire extinguisher cabinets, commercial kitchen grease exhaust system installation, industrial fire protection. In addition we also offer kitchen exhaust cleaning services, grease filter exchange and we perform periodic servicing and maintenance. AAA Fire Protection Services has the highest ratings and thousands of satisfied customers throughout San Mateo and vicinity. AAA Fire Protection Services cares about your protection! 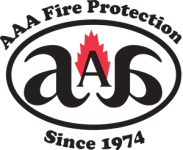 AAA Fire Protection Services is renowned as San Mateo’s best provider of fire protection and suppression services. We have worked hard to maintain our reputation. We were established in 1974 and still going strong! We take great pride in being the leader in fire suppression systems and every aspect of fire protection. We are an independent family-owned company with strong roots to the community! AAA Fire Protection Services cares about you and your commercial needs.